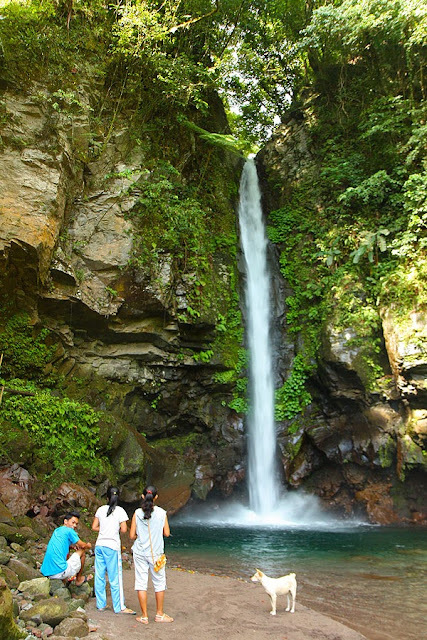 Camiguin. The Island of Fire Water. In the two days we were on the island, we were never not soaked. 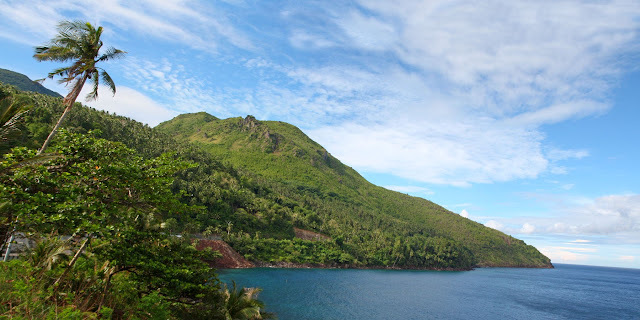 On our first stop we immediately got soaked in the beautiful panorama of brilliant green mountain and sparkling blue sea and sky at Tangatoc Cove. Where is the cemetery? Twenty feet under the sea. The cemetery sank during the 1871 eruption of Mt Vulcan. 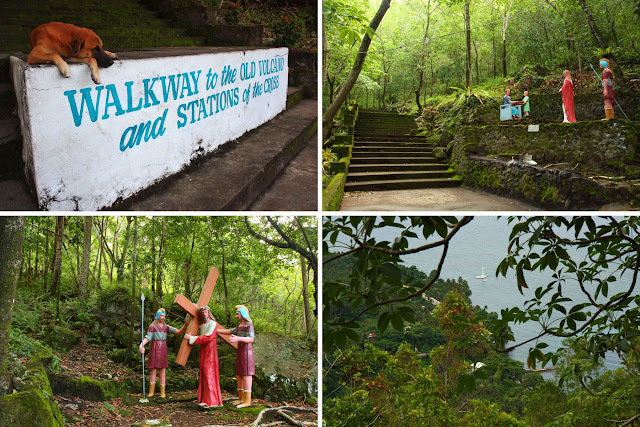 The iconic large white cross marking its location was built in 1982. We hired a paddle boat to get us to the large cross. There was a door on the base of the cross, and looking in, I saw rusty rebar rungs leading to the top, but it was for the eyes only: climbing it was prohibited. With nothing else to do, we then became the boatman–slash–guide–slash–director–slash–photographer's subject of silliness: he made us look like witches and giants in the amusing photos he took. 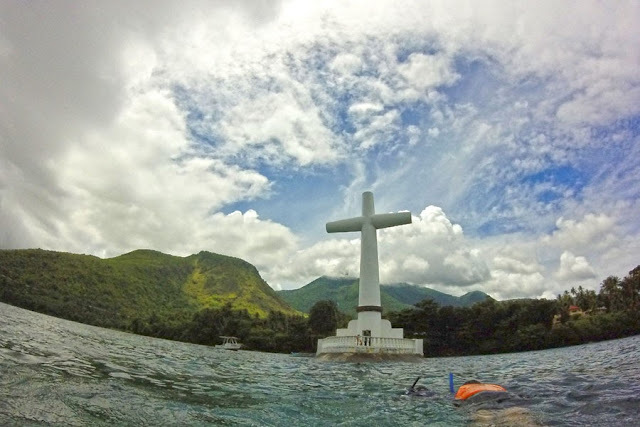 Because he made us jump around and do silly things, we took our revenge: we all jumped in the water and made him tow us, against the current, beyond the large white cross and around the sunken cemetery. 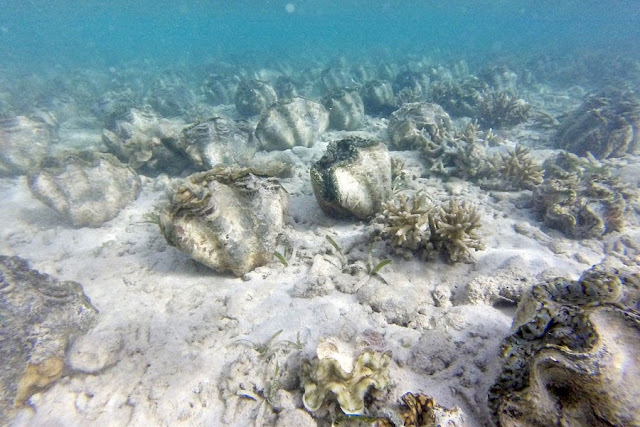 I saw a cluster of giant clams, many little fish, and corals, but I couldn't make out the tombstones; it must have been crusted over by corals. 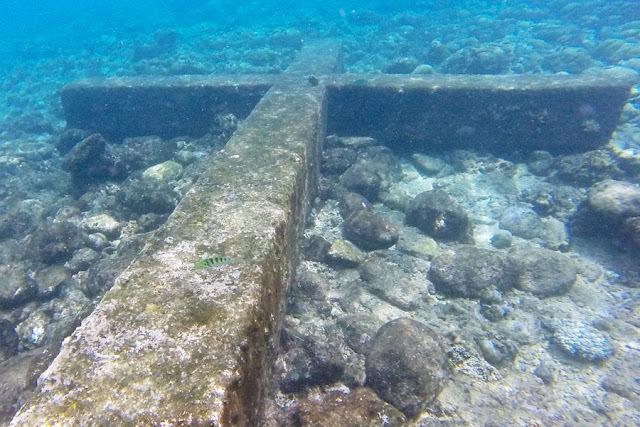 The only distinct thing I saw that hinted that it was a submerged cemetery was the huge cross lying on the seabed. Still dripping wet from our swim at the Sunken Cemetery, we jumped in the multicab and headed a short way south and made a quick stop at Gui-ob Church Ruins. Gui-ob Church too was destroyed during the 1871 eruption of Mt Vulcan. 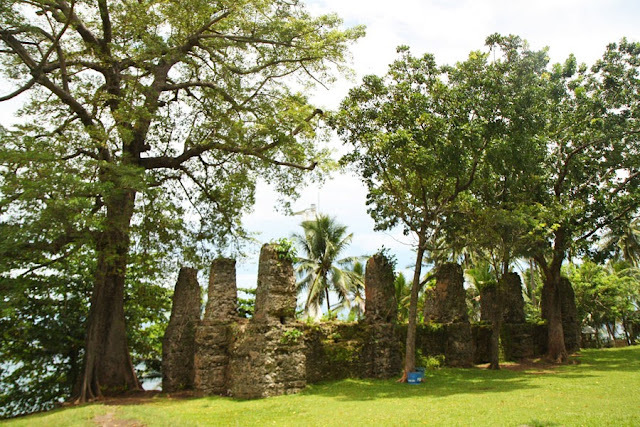 All that remains are the walls and columns of the church and its convent, and the base of the belltower. 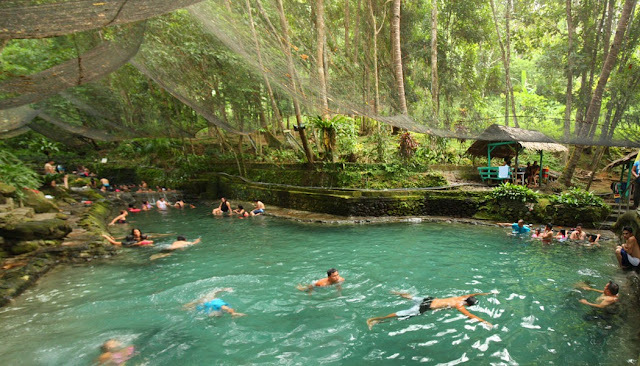 From Sto Niño Cold Spring, it was another short drive to our next stop: Tuasan Falls. The way to the waterfall was incredible. Incredibly concrete, incredibly easy, incredibly short. Tuasan Falls isn't too high but the water quite strong; the basin small and the water quite cold. It was also incredibly quiet (save for the sound of rushing water) when we visited. Not that I'm complaining. The water at Soda Swimming Pool tastes like soda water, which tastes really weird. We tasted the water and decided it was better for swimming than drinking. How did I know? I drank the water in the pool. Just kidding. There are taps available for those who want to drink soda water. The first day's tour ended with a dip at Ardent Hot Spring. The hottest pool was too crowded and we found space in the pool farthest from it, its water too lukewarm to feel like you're in a hot spring. Once I stepped foot on White Island, I immediately asked myself what took me so long to visit Camiguin. White Island's clear waters, white sand, and the view of Camiguin Island took my breath away. Note: If you easily get hungry, bring money, there are enterprising individuals who sell meals and snacks on White Island. 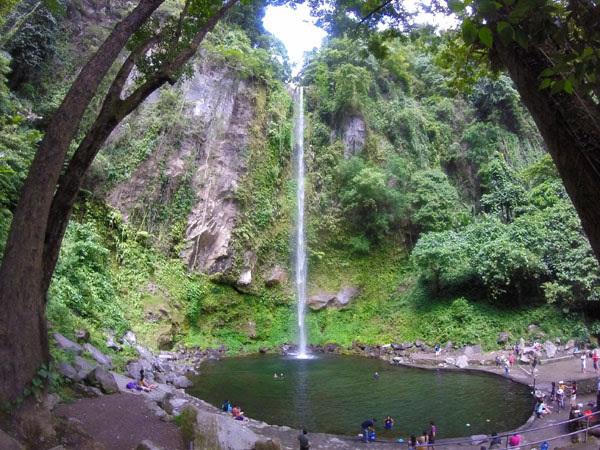 The thin 250-feet drop of Katibawasan Falls forms a wide shallow pool of ice cold water...colder than the waters of Sto Niño Cold Spring. It felt like being in a pool full of ice. 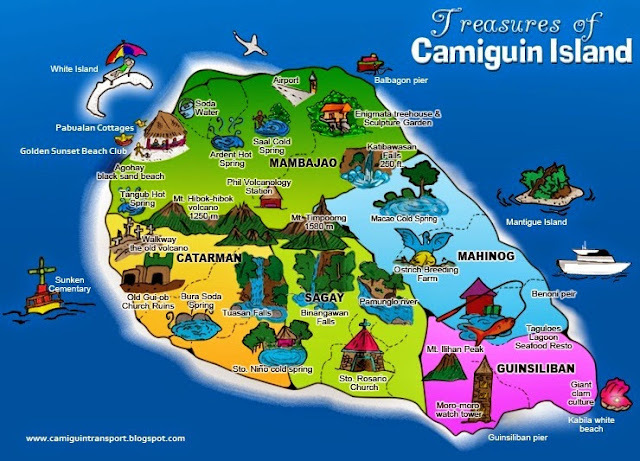 Here I had to ask myself again why after all these years had I not visited Camiguin. Like White Island, the clear waters and the view was just amazing. 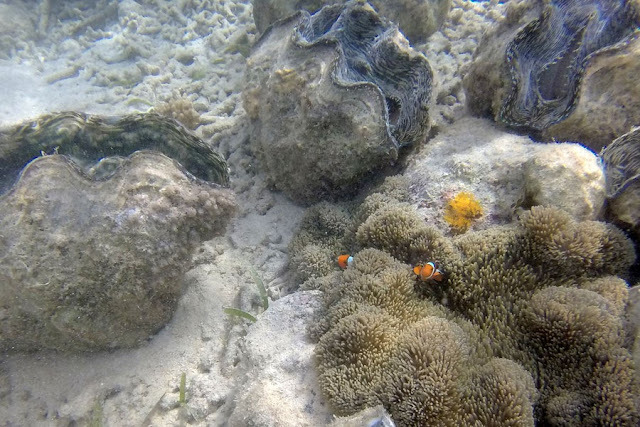 On top of that, we also loved snorkeling at Mantigue Island's sanctuary. Our last stop was the Kibila Giant Clams Sanctuary, where young students gave us a little tour of the area and educated us about giant clams. 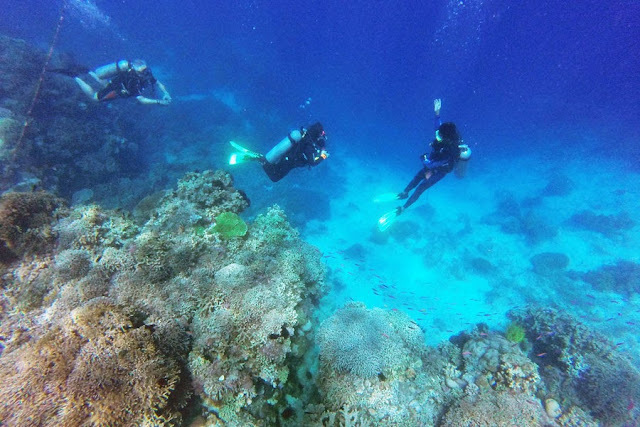 The students help maintain the sanctuary, the younger ones act as tour guides of the facility, and some of the older students as snorkeling guides to the sanctuary. I was quite impressed by it all (the students and the sanctuary). Note: If you bring your own snorkeling gear, you will be charged 50% of the total charges of your group. Part of the fees paid by visitors are given to the students as their allowance. The itinerary for the second day also includes visits to the Ostrich Farm and J&A Fishpen at Tanguines Lagoon, but we decided to skip those. We stayed at Pabualan Cottages [0917 521 9391 / 0939 244 0521 / teddypabualan@gmail.com] which is located near the jump off point for White Island, and availed of their 3D/2N package which includes airport/port transfers, A/C room accommodation, two-day tour including entrance fees and boat transfers to the islands. The only fees not included are the snorkeling fees, snorkel/lifevest rentals, and the add-on for the boat to go to Mantigue's marine sanctuary. 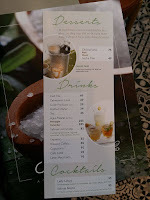 For a group of three, we paid Php 2150 each for the package. For bigger groups, the rate per person would be less. Overall the package was worth its price. The only negative experience we had with Pabualan Cottages was that on the second day, before starting the tour, thinking we'd be going straight from one destination to the next, we borrowed snorkel sets from them because we wanted to use it at Mantigue Island; we were not informed that the rental charge is per destination, not per day. Since we brought it to White Island, though did not use it there, they wanted to charge us for "using" it at White Island. After the trip, I emailed Pabualan Cottages for clarification, but did not hear back from them. 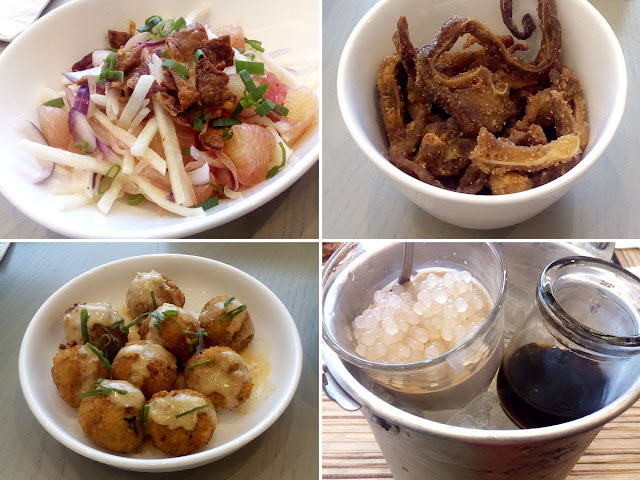 Salinas bravely put a twist on Filipino food! 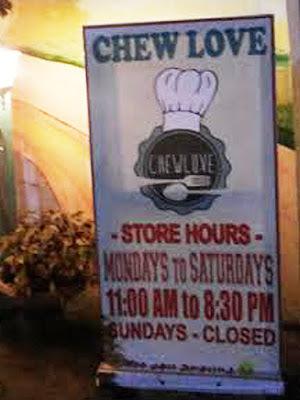 Their kwek kwek is coated in beer batter. 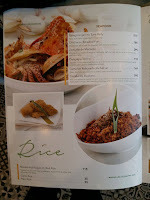 They have Miki Negra, which is miki noodles in squid ink. 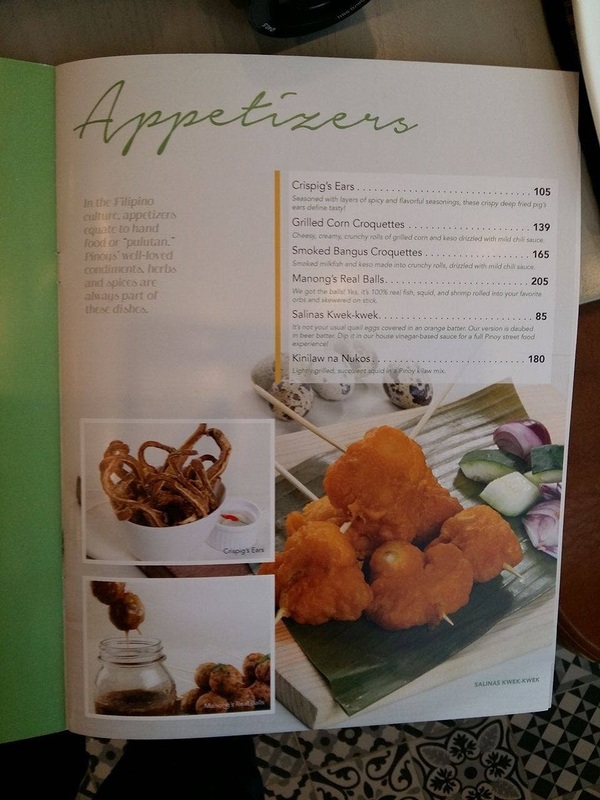 They have kanding (goat) tapa instead of the usual beef tapa. 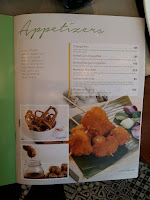 Their breaded fish (barracuda) is coated in chicharon. 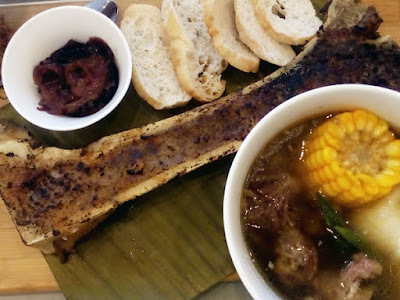 Their Pocherong Katag is indeed katag or spread out on a plate: a bowl of pochero soup with beef sliced off the bone, and the baked marrow proudly exposed on the bone that's chopped along its length. 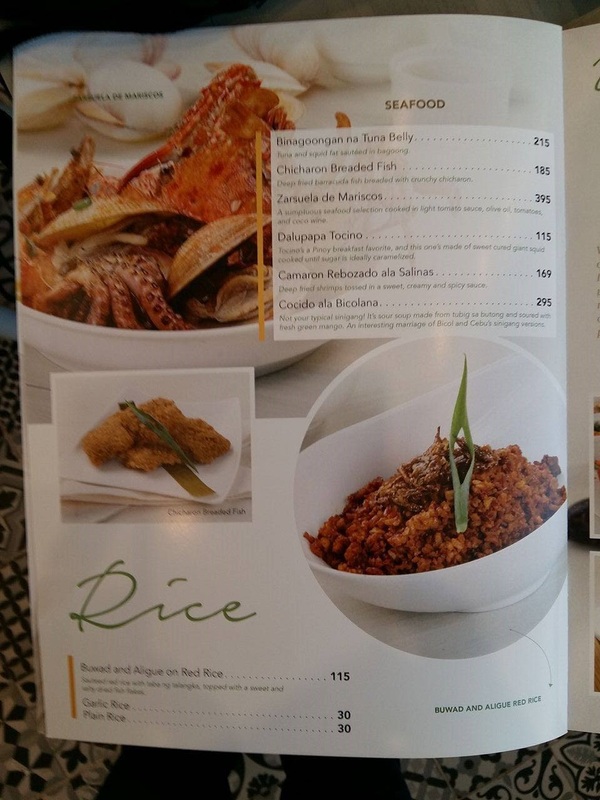 Although only six dishes, this is a welcome and much needed addition to local restaurants (many vegetarians find it hard to eat out in Cebu). Salinas collaborated with The Lazy Chef for their vegetarian menu. As I was reading the short list, these caught my attention: Bloodless Dinuguan (and how? 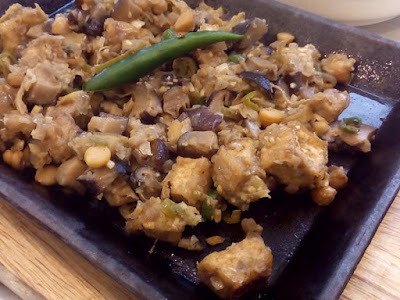 I have no idea), and vegetarian sisig (because I love sisig) made of mushrooms, garbanzo beans, and other veg. 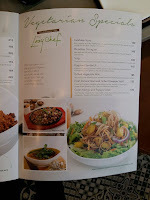 Servings are good for three persons and most dishes cost between Php 85 to Php 215. There are six dishes that go beyond this price range, and these are in the meat (goat, beef, lamb) and seafood mains section (from Php 295 to Php 495). 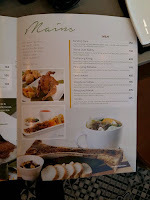 If you are craving for classics that are not on Salinas' menu, such as monggos, sinigang, crispy pata, etc. 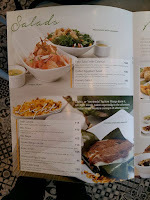 you can order from Golden Cowrie on the other side of the wall and have Golden Cowrie dishes on your Salinas table. There are four points of the compass. In Bohol's compass of sandbars there are two: North Sandbar and South Sandbar. 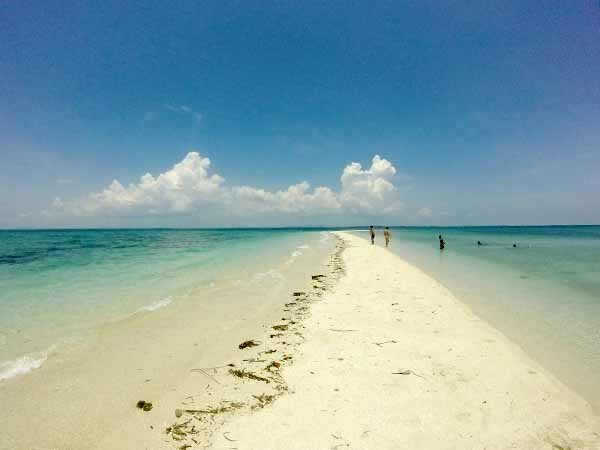 Although officially part of Bohol, these sandbars are also accessible from Mactan Island. North Sandbar or Bongan Sandbar is part of the municipality of Talibon. It is 2.5 hours by boat from Punta Engaño in Mactan or 3 hours from Cordova in Mactan. When the tide is high and the long stretch of white sand is submerged, you know you've come to the right place when you see the lonely concrete watchtower sprouting from the sea. The other end of North/Bongan Sandbar. The watchtower is off to the side (not in photo). South Sandbar or Mundong Sandbar is part of the municipality of Tubigon. It is 1.5 hours by boat from Punta Engaño in Mactan, or an hour from Cordova in Mactan. When the tide is high, the only clue to this little patch of sandy paradise is when you see a strip of turquoise in the vast deep dark blue canvas of the sea. During high tide, South/Mundong Sandbar becomes a shallow pool (chest height water), but those who don't know how to swim must be careful to not go over the edges as it plunges into the deep quick. The current could also be strong as the tide comes in. It is best to start off the journey toward these sandbars early in the morning when the sea is calm, and head back to the mainland early in the afternoon. The sea could get restless late in the afternoon. Rent a pumpboat at any of the ports in Mactan: Cordova Wharf, Maribago Wharf, or Punta Engaño Port (beside Mövenpick Hotel). 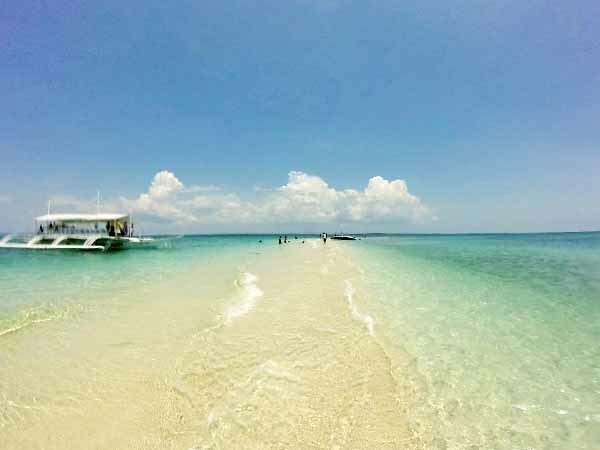 These sandbars are not included in the usual island hopping destinations offered in Mactan, so prices may vary between boat operators. Unleash your haggling powers! because it looks like the basis for its direction is Mactan, not Bohol. But one is also a good number. Four – the maximum number of passengers allowed in a taxi. Sometimes four people in a taxi will spend less compared to four people taking the bus. Five or Ten or Whatever – some guided tours require a minimum number of people. 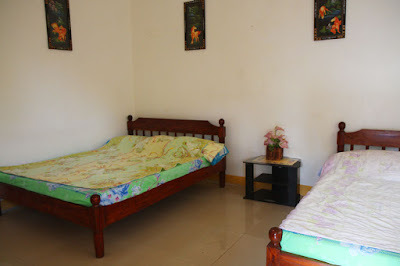 Six or Eight – some accommodations have big rooms for an even number of people, maximize this and it comes out cheaper than getting a single or double room. Seven or More or Less – eating at family-style restaurants in big groups is an advantageous setup for foodies: more likely than not, there will be a variety of dishes for the group. Ten, Fifteen, Twenty – pumpboats for island hopping come in different sizes; most don't want to ride a small boat, so the bigger the better. Maximize it to minimize the cost per person. Twelve – it is faster to rent a van than to ride the bus (e.g. Puerto Princesa to El Nido and vice versa). Most vans can accommodate 12 persons comfortably. You can make your own itinerary or none at all. You go at your own pace. You can stick to your schedule or throw away your watch. If you are running late, you only have yourself to blame. But if you have thrown your watch away then this shouldn't be an issue. Did your mother tell you not to talk to strangers? Well, you become brave in approaching strangers when you need to ask for directions. You develop your communication skills. Even if you don't speak or understand the language, you will somehow learn to understand each other through context clues and actions. You become an expert at getting lost and finding your way back. If you get lost, you drum up the courage to ask for directions, you get creative in communicating with non-English speakers, you exercise your memory by trying to remember signs and landmarks, you become more observant (aware and alert of your surroundings), and your analysis skills improve (you try to understand the complicated subway system in just a few hours or at least try to).